Our workshops take delegates through the current key compliance issues facing the general insurance and consumer credit broking sectors and are always well attended. We will be publishing details of the agenda for the autumn workshops in the next few weeks. If you prefer not to wait until the workshops for support and guidance with your compliance arrangements, please call us on: 01925 768 064 or email: workshop@thistleinitiatives.co.uk. CII CPD accredited Demonstrates the quality of the training provider’s course and confirms that it meets CII member CPD scheme requirements. † If you are a Thistle Initiatives (formerly UKGI) general insurance client your membership terms and conditions and supporting schedule will confirm the number of workshop places to which you are entitled as part of your membership. Additional places can be requested and are charged at £75+VAT per person. You will receive confirmation of your place/s within the next few days and joining instructions will be issued approximately 10 days prior to your chosen workshop. 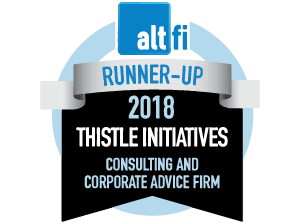 If you are not a Thistle Initiatives (formerly UKGI) general insurance client please note – workshop places are charged at £100+VAT per person. You will receive confirmation of your place/s within the next few days and joining instructions will be issued approximately 10 days prior to the date of your chosen workshop.